The USPS filed for a 2019 shipping rate hike that spells bad news for small online sellers who rely on Priority Mail. The Postal Service is looking to raise PM rates an average of 5.9%. For eBay and Etsy sellers, the cost is higher since they pay commission fees on selling price plus shipping costs. And they face a triple whammy, since marketplaces are increasingly urging sellers to pay for return shipping for buyers dissatisfied with their ecommerce purchase, including buyer's remorse. The cost of a First-Class Mail Forever stamp will rise from 50 cents to 55 cents, a 10% hike, if rates are approved by the Postal Regulatory Commission (PRC), with a 6-cent decrease in the additional ounce rate (initially we reported it was a 6-cent increase). 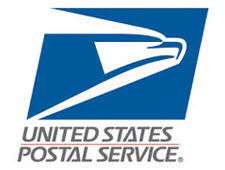 The USPS is also seeking to change First-Class Package Service, a lightweight expedited offering used primarily by businesses for fulfillment purposes, to zone-based pricing "to better align with the cost of service and improve value based on distance." The PRC will review the prices before they are scheduled to take effect January 27, 2019. Stay tuned for more on this breaking news. Oh Joy...ebay gets another .006%...for doing NOTHING. I was cutting way back after 20 years for ebay inspired reasons...this does it. Come the final shipping day of 2018, ebay can add my middle digit to it's ever growing collection. Selling at yard sales and flea markets is getting much more attractive!!! Also selling on Facebook and Craigslist where there is no shipping involved! And the fleecing of America continues while we subsidize the Chinese. Actually it's a relief for me. I was 90% done with ebay anyway, now my decision has been made. Between the blood sucking post office, the increased fees, reduced sales and the upcoming 4% racket, profit is no longer possible. Can't say it was a good run. In fact, for the past decade it's been a waking nightmare but the money was good. And all good things must come to an end. So glad I have a FT profession and just used ebay for FU money. Good luck to all who stick with it. Lovely. I'd say 99% of my items ship as First Class Packages, so now I'll have to figure the cost for the longest shipping distance (like I do for Priority Mail), and then refund buyers closer to me. I imagine online shopping is the only thing that keeps the Post Office from being in a deficit black hole, and now they want to make it even harder on sellers. So the USPS wants to charge US sellers based on zone rates so they can get more money for packages that go further, yet will continue to collect 49 cents a package to deliver the Chinese Epackets no matter how far they have to go. Definitely sounds like its time to contact my Congresspeople again and have them put pressure on the PRC to not just give their standard rubber stamp to the increase requested by the USPS. This was already out of hand but now is getting beyond ridiculous and the only way I know to stop it is to pressure Congress to start doing their jobs watching out for Americans instead of just worrying about their campaign funds/donors and worrying about getting re-elected. Maybe its time we start electing new candidates every election until they finally listen to us !!! Actually the USPS is going to keep raising shipping so high along with UPS and FED-EX that they are going to kill their golden goose because shipping is going to get so high that the public is going to stop buying online and go back to shopping at the B & M. Customers are already complaining constantly about shipping costs with many asking how much something is going to cost before they even place a bid or make the purchase as it is becoming to much of the total price and in many cases more than the item they are interested in.buying. Something has got to change or they will once again be in the red trying to figure out what to do to change things. Yeah, unelected special interests. How do we vote them out? About 90% of my listings are with First Class Package Shipping, of which 70% of those are items priced at $10 to $40 Buy It Now with free shipping, and the rest I charge a flat fee between $3.00 to $4.50, depending on the weight. Zoned First Class Shipping Rates will certainly hurt me dramatically. I live all the way in the basement of the United States, down in Florida. I sell a lot to buyers in California, so I can only imagine what this could do to my business. I'll have to move back to Chicago just to be in the center of the US to get good exposure. I'll also have to revise at least 400 listings if this takes effect. Plus, most of my bargain items priced at $15 or less I may have to just delete entirely. See, this is just another sign that corporations like eBay, and now the government, are squeezing out small time sellers like me, the "noise". They do NOT want us to succeed. They have the NERVE to give China shipping benefits, and corporations like Amazon shipping benefits, but the mom and pop small businesses, FU! Shipping calculation isn't already convoluted enough now we are going to do zoned First Class Packages????? Good Gawd, Gertie! I quit free shipping a couple months ago without any drop in sales. Lately I'm trying no returns for clothes where the measurements are not normal. I explain why and what the measurements mean and recommend they learn their own measurements for comparison. Results: I haven't sold anything for the past 2 days; something I can't remember ever happening. It's ok, I'm not changing back yet. I've been getting lots of offers (I don't consider offers and say so in the ads) and adding to my BBL. Another commenter here said he's doing better at the flea-market. What would you call eBay if not a flea market? Insanity. Its usps fault for maling first class 2 to 3 days when it was 2 to 5 says before. Basically they turned first class into a priority service. All they are doing is killing businesses that arnt amazon. Im sure that's their plan anyways since they love to make amazon the giant it is today. If you are selling on Ebay, there is NO SUCH THING as a real No Return policy. The ONLY thing a nor return policy gains you is the ability to deny a properly filed Buyer's remorse return request. ALL SNADs you have to honor per the Money Back Guarantee policy Ebay has. So unless you get a lot of properly filed Buyer Remorse claims, the No Return policy doesn't do much for you except possibly make some buyers go elsewhere for what they are looking for. You might consider a 30 day return policy with Buyer pays shipping. That is basically the same thing as a no return policy except you can't deny a Buyer's Remorse request, but you can require them to pay return shipping and if you have separately stated S&H on that listing, when you refund you can withhold the original shipping. Hopefully the PRC won't approve all of this. I understand increases, but it seems to me that some of what they are requesting is just too much. While I certainly don't like how high some of these propose fees are, I really dislike the zoning of FCP. A dollar or two raise in the cost of shipping per package is going to cost both seller and buyer. Right now, shipping costs for a two pound package going east is embarrassing. You can buy a nice watch, jacket or pair of shoes for what it costs to ship 5 pounds from east to west coast. Higher postal rates will undoubtedly, reduce overall sales except for Asians, they will continue to ship up to 4 pounds for about $2.00 no matter what part of the US they ship, and pay no taxes. The flow of US dollars will continue to flow toward China, leaving Americans with less jobs and income. Regardless whether it is Republicans or Democrats in the White House, neither party is protecting American commerce. Time to order more Priority mail Flat rate envelopes! Is it Kosher to put a statement in our description about the raise in postal rates for the customer to read? I think I'll do just that. Didn't Trump support higher postal rates? Well, he got his wish! It only slows down ecommerce and package mail. @ Windsorbear: Right, flea markets are the best way. I've had 0 luck with Craigslist recently. However, we do have a "nextdoor" blog where neighbors can sell to each other. how much greed is enough greed? how much destruction of small business people be enough? when will these fat a$s ceo's figure out that one day it will be WAY TOO MUCH !! Seriously, the post office is absolutely getting killed, what else can they do but raise prices, actually raise prices to everyone except china. I don;t understand why the USPS thinks Priority Mail is so grand. When I print a shipping label and it says 2 day priority on it wouldn't you think it should be there in 2 days. It normally runs 4 to 5 days, about the same as 1st class mail. And what happened to economy shipping, I used it for the first 2 years on ebay and had great service from it. It normally ran 4 to 5 days for delivery which is about the same???? Ebay expects its top rated sellers to use Priority Mail, WHY, when you can get better service on some of the others. I cannot afford to pay for Priority Mail and who wants to if it does not run like it is supposed to.